Chris Thompson is set to be among those lining up at the inaugural Great Donington Run on June 26 as he continues to work towards a return to top form. The 2010 European 10,000m silver medallist has struggled with injury problems and at the end of 2014 he required Achilles surgery. The past few years have been a rollercoaster for the 35-year-old but describing himself as “very stubborn”, he has battled back and remains motivated with there still being much more which he hopes to achieve. After representing Great Britain at the London 2012 Olympics over 10,000m, Thompson had been targeting a place on the marathon team for Rio but the trial race at the London Marathon came too soon and his time of 2:15:05 for fourth Brit and 16th overall wasn’t enough to secure a spot. He then switched his attention to the track, but was forced to miss the 10,000m trial at last month’s Highgate Harriers Night of the 10,000m PBs. While the Aldershot, Farnham & District athlete recognises that making Rio is now a long shot, he has set his sights on other future major championships and a key stepping stone towards that is racing over 10km in Donington later this month. “The Olympics was a big motivational thing when I actually went under the knife and I knew it was going to be a challenge,” he told AW. “We got off to a really good start and I had a good result at the Great Birmingham Run despite a lot of issues. The Alan Storey-coached athlete, who ran his 10,000m PB of 27:27.36 in 2011, added: “I’m not trying to get back to running just an Olympic qualifying of 28:00, I want to be back to what I was and I believe I can do that, so does Alan. “I’m trying my best to do the best I can each day and an event like Donington will help give me an idea on where things are at. The newly-launched Great Donington Run, in partnership with The Sun, takes place at Donington Park racing circuit and offers 10-mile, 10km, 5km and Family Mile events. The 10km, which Thompson is due to contest, also forms part of The Great Club Challenge – further details on which can be found at greatrun.org. “Being a Loughborough lad I know the area well, I’ve run many a tempo hearing the cars going around the course,” said Thompson, with the motorsports-themed event to see runners of all abilities take to the famous track, waved off by the chequered flag and to the sound of revving engines. “I think people can expect a unique and fun experience that you don’t necessarily get from other races. 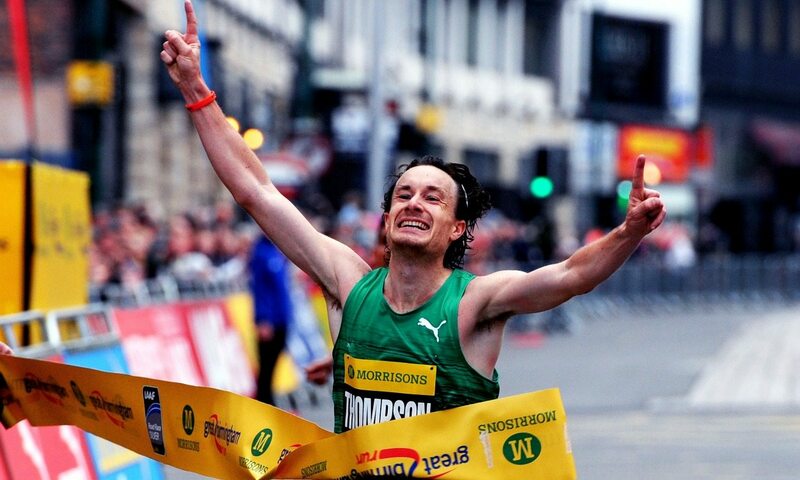 An important moment for Thompson post-surgery was his win at another Great Run event – the Great Birmingham Run – last October, and reflecting on that half-marathon victory has helped him when times have been hard. “That was massive. That win will stay long in the memory for a lot of reasons,” he said. “That is still my best performance post-op and it is still today something that tells me, ‘keep fighting, it’s worth it’. “Obviously the Great Birmingham Run is a big event as well so winning an event like that is a buzz in itself. It represented a heck of a lot more. On his future aims, Thompson added: “Honestly, the Olympics is probably slipping through my fingers quite quickly right now. When we got the London World Championships bid, I remember thinking ‘well that’s extended my career by another year’. Then the Commonwealth Gold Coast in 2018, I was thinking ‘well that’s an extra six months’ and then it’s only a few months until the Europeans. Entries for the Great Donington Run are open at greatrun.org/donington.